Finally!! 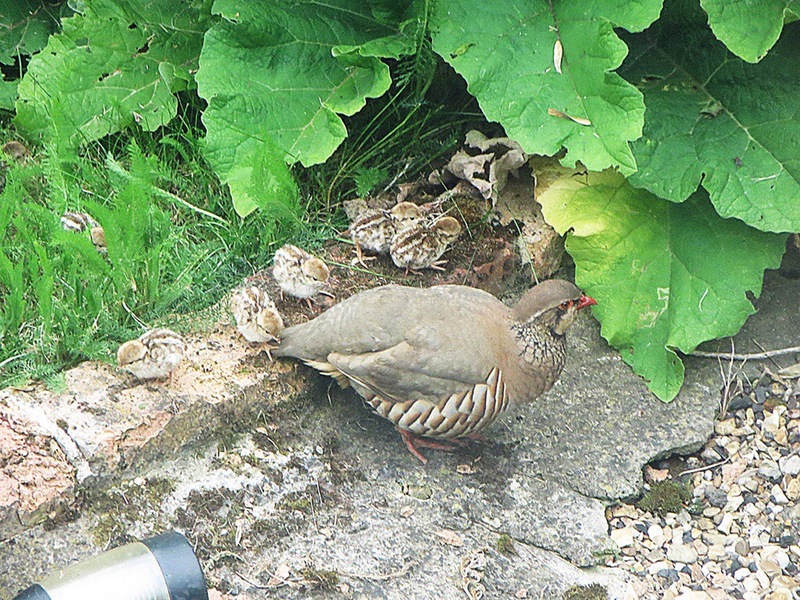 Some time between the evening of Friday 13th and the morning of Saturday 14th Mama Partridge decided it was time to hatch the babies! Up early I checked the nest long distance as usual and saw broken shells (along with one un hatched) but no sign of the occupants. 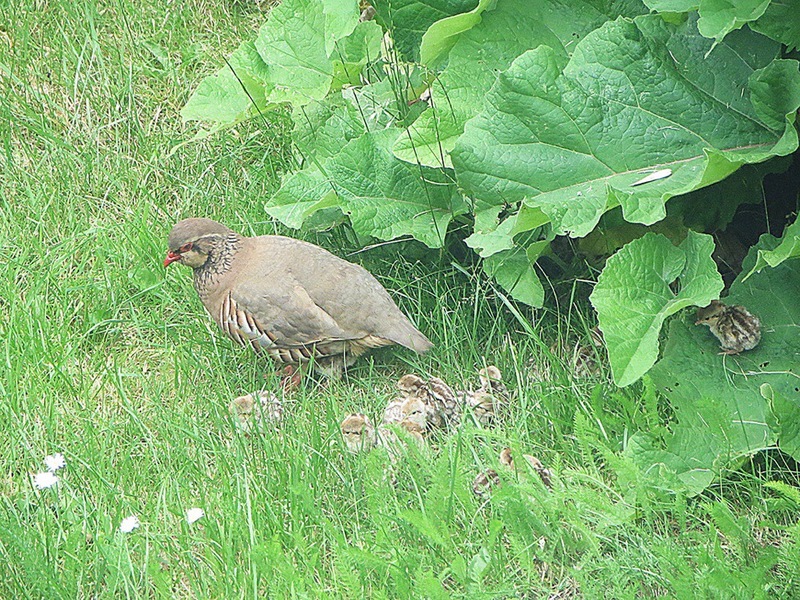 I was so worried she had taken them away and I’d missed it, but a few hours later she brought them back and presented her brood. I think she looks pretty proud. And so she should. They’ve been back a few times, I’m not sure where she takes them overnight – we’ve a couple of brick outhouses so they may be there, but she’s very good at hiding them underneath her! There still seems to be the same number as I counted that first day, 13, so she’s a clever Mama to keep them all safe. None of the eggs from the first nest have hatched but I’m not sure what to do about them now. 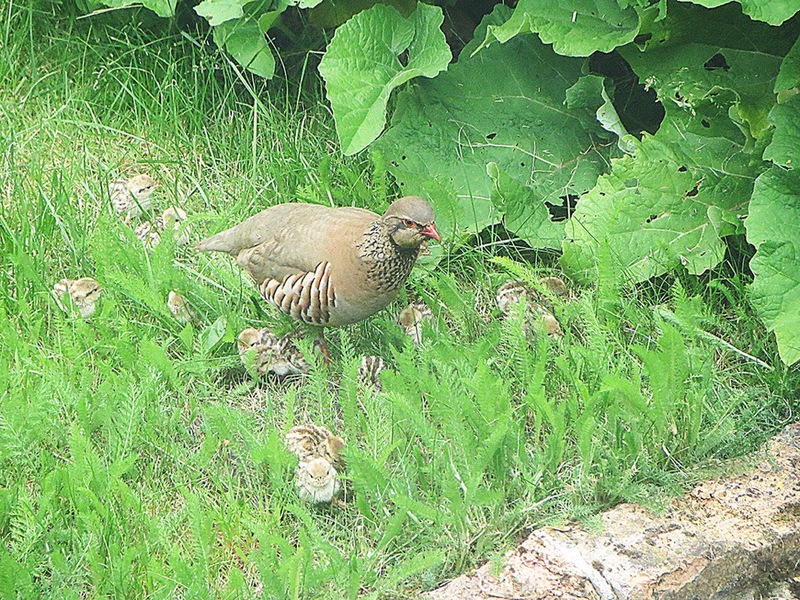 I did think “hurrah, I can weed the path properly now!” as we’ve had to let it grow for nest coverage…..
but, wouldn’t you know it, we seem to have a new resident. I can barely explain how ridiculously tiny he is! He’s so relaxed in the garden he fell asleep in the garden beside my car and we almost stepped on him! He twitched an ear when we turned the engine over but went back to sleep. Poppet. 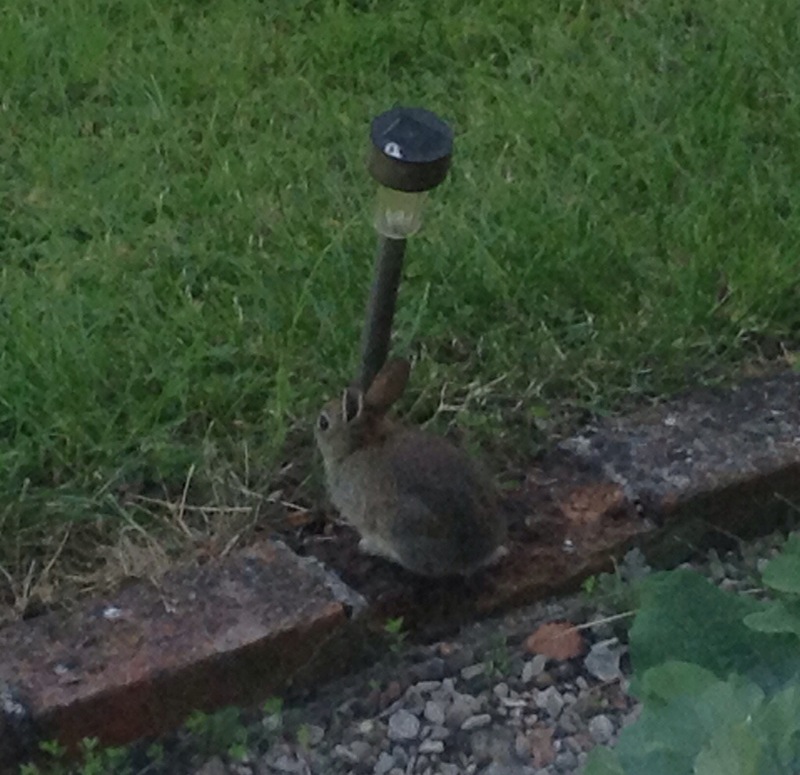 This entry was posted in bunny, Garden, life and tagged baby birds, baby bunnies, partidge.